What do you keep in your glove box? Pretty straightforward, just curious how you fill one of the most easily accessible storage areas in your car. I’ve always got wool fingerless gloves, a cashmere scarf, and waterproof phone case. Currently have some water bottles a client left me. 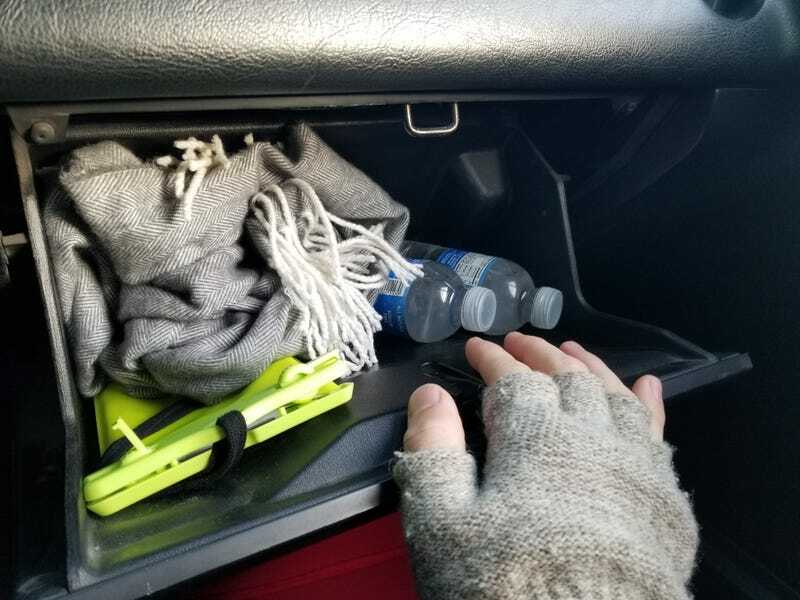 Used to carry a pocket knife in there too, but I made an under-the-seat holder for it so it’s accessible with the harness on. Center console box always has a flashlight, tire pressure gauge, pen, loose change and then whatever items I need to stuff out of sight. Don’t want things flying out of the car when the top’s down! How do you glovebox, oppo?